Welcome to the website of Martinez Tree Service, where the care of your outdoor beauties is our specialty! Martinez Tree Service provides quality tree care, landscaping design, and lawn maintenance to both residential and commercial clientele. Our commitment to excellent customer service and competitive pricing has proudly earned us numerous satisfied and happy customers throughout the Dallas and North Dallas area. Emergency Tree Removal Service Available For Fallen Trees. With over eight years of experience in the tree and landscaping service industry, Martinez Tree Service has proven to be a leading provider in the tree and landscaping care business. You can count on Martinez Tree Service! 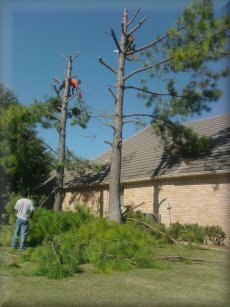 Serving both residential customers and commercial clientele throughout the Dallas metroplex, Martinez Tree Service is proud to be a full service tree care provider. From tree trimming, tree pruning, tree removal, stump grinding and removal, cabling and bracing and much more you can trust the care of your outdoor beauties to the hands of Martinez Tree Service. We service Collin County, Dallas County, Denton County, and Grayson County. Including the cities of Allen, Anna, Argyle, Baronville, Bells, Blue Ridge, Carrollton, Celina, Coppell, Copper Canyon, Cornith, Cross Roads, Dallas, Denison, Denton, Double Oak, Fairview, Farmersville, Flower Mound, Frisco, Garland, Gunter, Hackberry, Hebron, Hickory Creek, Highland Village, Josephine, Lake Dallas, Lakewood Village, Lavon, Lewisville, Lincoln Park, Little Elm, Lowry Crossing, Lucas, McKinney, Melissa, Murphy, Navo, Nevada, New Hope, North Lake, Oak Point, Parker, Plano, Pottsboro, Princeton, Prosper, Richardson, Roanoke, Royse City, Sachse, Saint Paul, Shady Shores, Sherman, The Colony, Tioga, Tom Bean, Trophy Club, Van Alstyne, Weston, Whitesboro, and Wylie. At Martinez Tree Service, we are committed to providing exceptional service while always remaining competitively priced for our industry. We also guarantee a scheduling calendar that is most convenient to your own schedule. We hope that you enjoy your tour of our website. 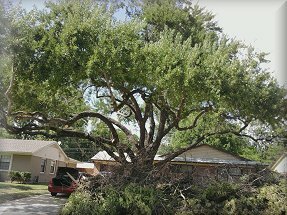 If you ever have questions or would like to schedule a free consultation, please contact Martinez Tree Service at 972-890-4847. For your convenience, you may also request services from this site. and we look forward to serving you soon!